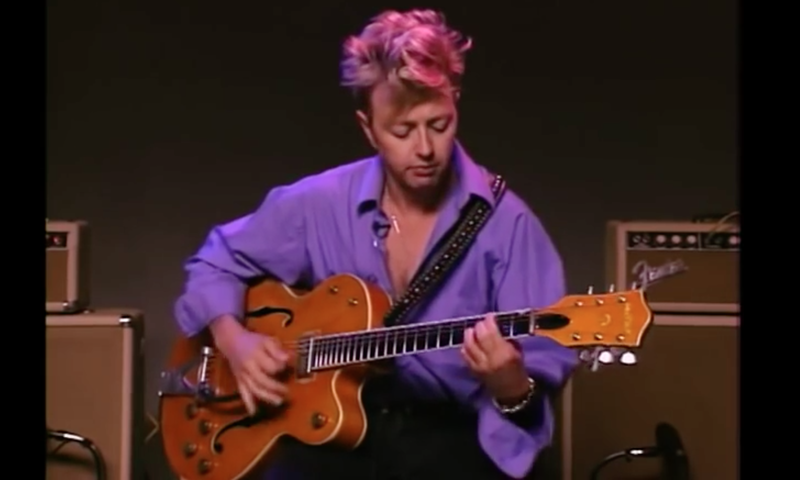 Brian Setzer first found widespread success in the early 1980s as part of the 1950s-style rockabilly revival group Stray Cats, before going on to form his own Swing band, The Brian Setzer Orchestra. In this hour-long lesson (uploaded by YouTube user José Brites) which can be seen in the video clip below, Setzer covers a whole range of rockabilly, blues, jazz and country licks. As well as the use of string-bending techniques, slap-echo effects and the swing guitar styles and phrases that he most commonly uses to create his unique style. Using his Gretsch Signature model guitar throughout, the clip also includes a few solo performance demonstrations that give us a rare up-close look at Setzer’s techniques in action completely unaccompanied.